My vacation is almost over, but before I return to the real world, I thought I would share a few more of my favorite vacation comics from years past. Click on the links to see the full posts. I’ll be posting new vacation comics next week! Categories: pear people | Tags: angry, angry pear, annoyed, beach, bikini, cartoon, comic, drawing, fruit, funny, humor, illustration, Pear, Pear people, pears, summer, vacation | Permalink. 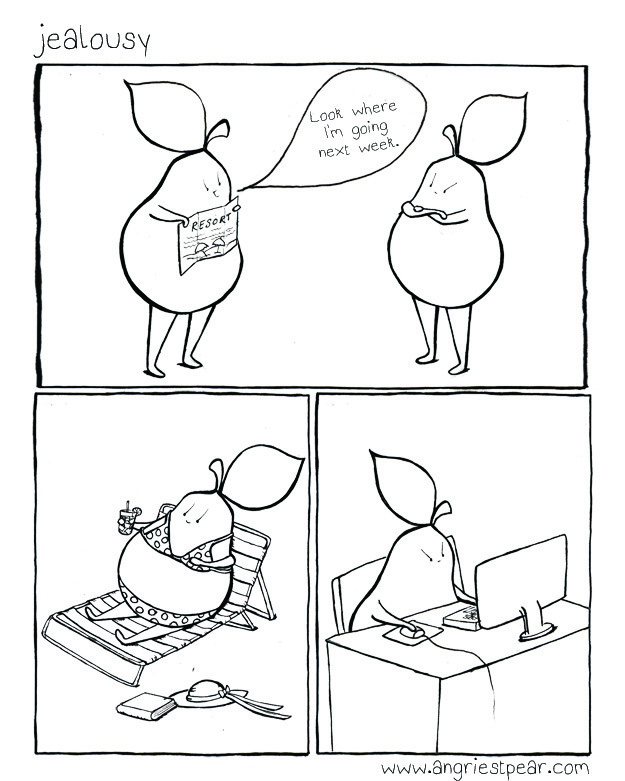 This pear is going on vacation for the next two weeks! Finally! I won’t be posting much while I’m gone, so I thought I’d leave you with a compilation of some of my favorite past comics about vacation. This is part one. Part two will come later. Maybe next week sometime. Click on the links to see the full comic. Some are single panel and others are multiple images. 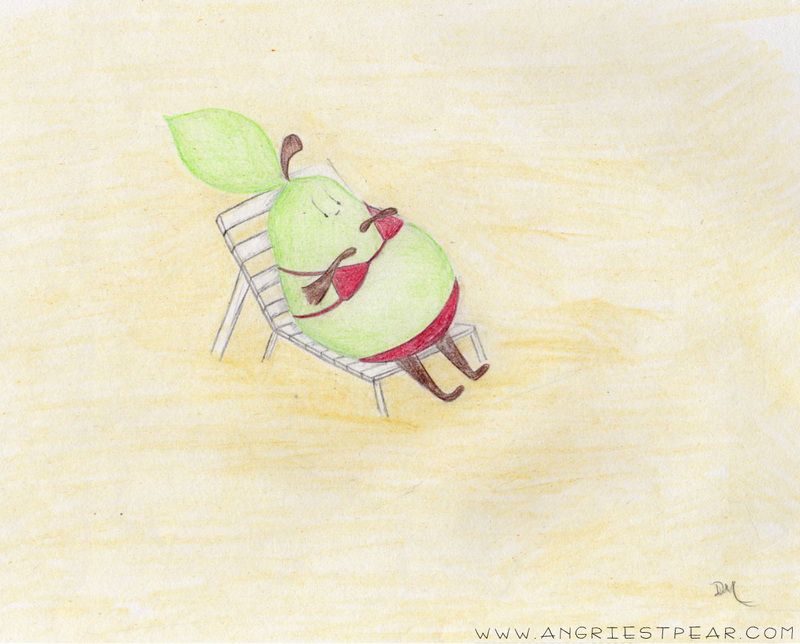 Categories: angry pear, pear people | Tags: angry, angry pear, beach, cartoon, comic, cute, drawing, fruit, humor, illustration, looking back, packing for vacation, Pear people, pears, sick of it, vacation | Permalink. Categories: angry pear | Tags: angry, angry pear, boss, comic, first day back after vacation, fruit, humor, illustration, Pear, sick of it, vacation, work | Permalink. I’m heading off to the beach, so Angry Pear will be on hiatus for about two weeks. See you all again soon! Categories: angry pear, pear people | Tags: angry pear, blog hiatus, comic, fruit, humor, illustration, Pear people, pears, road trip, vacation | Permalink. How I wish I were back there now. 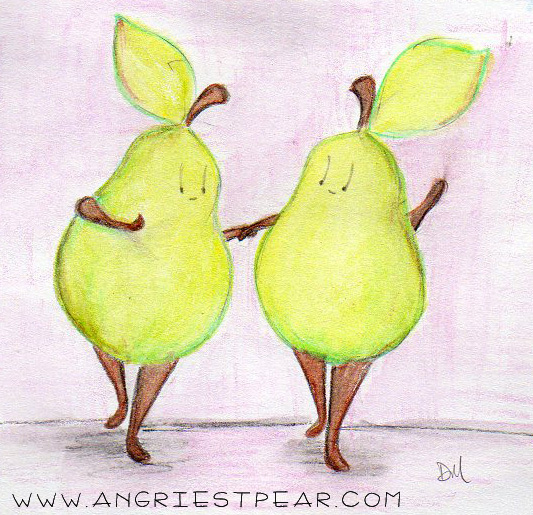 Categories: pear people | Tags: cocktails, drawing, fruit, humor, illustration, miss vacation, need a vacation, Pear people, pear person, relaxing, vacation | Permalink. Categories: pear people | Tags: angry, angry pear, vacation | Permalink.